Featuring a games room with foosball, billiards and table tennis, Villa Alegre is a 4-bedroom villa located 3.6 km from Almancil. The unit also includes an outdoor pool surrounded by a green lawn. 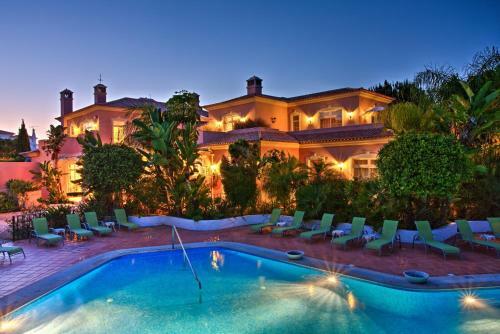 Located in Almancil, Quinta Jacintina - My Secret Garden Hotel offers boutique accommodation 12.1 km from Vilamoura, in a tranquil setting featuring a landscaped garden. Free WiFi and free parking are offered. Featuring an outdoor pool, Villa Luna is a Detached holiday home located in Almancil. 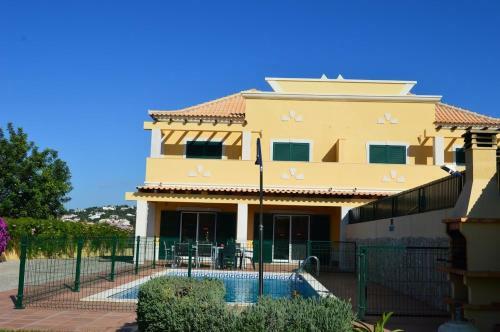 The property features views of the pool and is 2.3 km from Karting Almancil. Monte Da Quinta Resort is located on one of Portugal’s largest golfing resorts. It has a spa with indoor pools and offers luxurious accommodations with modern furnishings. Monte's suites boast furnished balconies with views of landscaped gardens. Set in Almancil, 1.3 km from Karting Almancil, Quinta dos Amigos boasts a seasonal outdoor pool and barbecue. Free private parking is available on site. The accommodation is equipped with a TV. Some units feature a seating area and/or terrace.